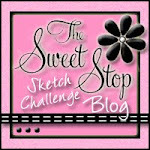 Hi everyone, I am making a post today for the Some Odd Girl challenge. 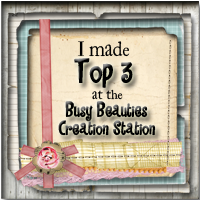 You are to use at least 5 elements from the list: And challenge #6 for ribbon and rub-ons. If you are paying attention, the first letter of each item spells "some odd girl"! 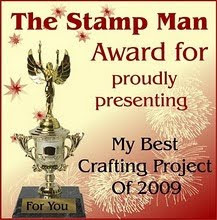 I really tried to use them all but I've never done masking or paper piecing so I avoided those items! However, I was successful with incorporating everything else. 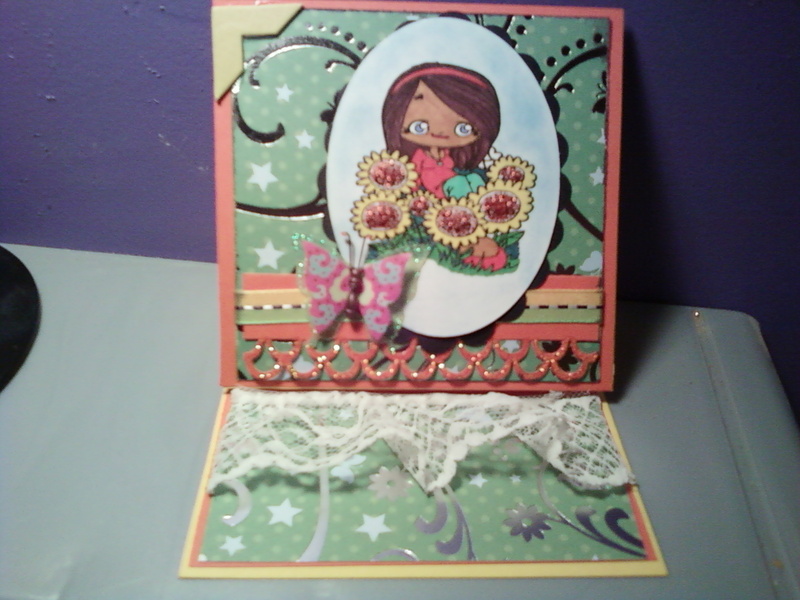 I hope you enjoy the card as this is my first easel card! I really like how it turned out. I really had alot of fun with this challenge as it made me think outside the box. I first started with a sketch but somewhere that went out the window, lol. 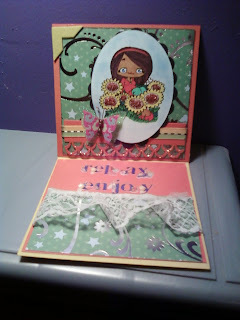 Love the summery flow of your card... thanks so much for playing with Some Odd Girl!! What a great card! Mae looks fabulous & I love all of the Stickles on your flowers! Thanks for playing with us at Some Odd Girl!! Woot for an odd image! Wow, you worked hard on this card! Thanks so much for playing at Some Odd Girl! 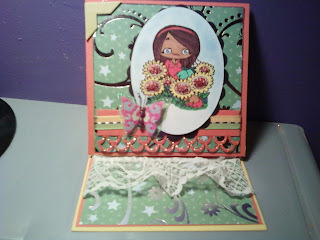 Love your easel card - Mae is so cute! 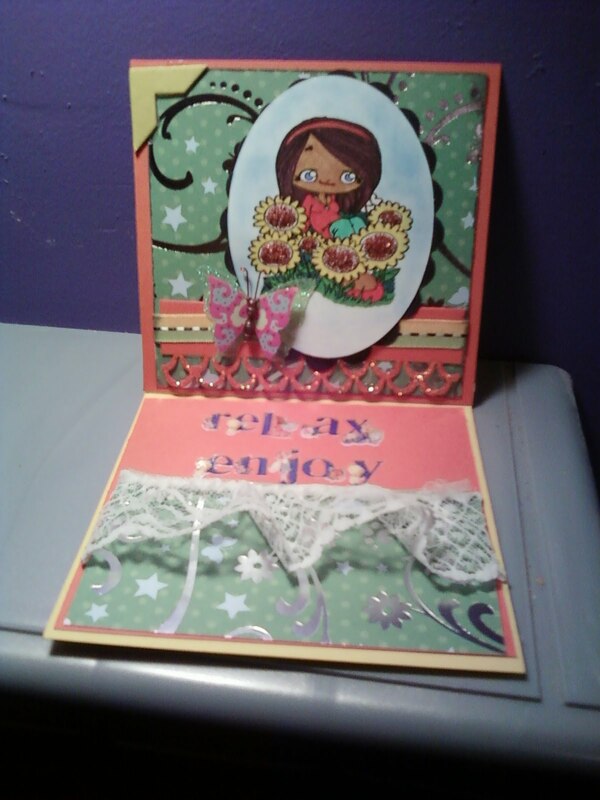 Great embellishments, and thanks for playing with Some Odd Girl! What a fabby easel card! You totally went all out and rawked BOTH challenges! Wonderful! Thanks for bein Odd with us! HUGS!